I'm just quilting. I was thinking I needed a bigger foot to be able to space my rows of quilting more than 1/4 inch apart without marking, then I remembered about this thing-y that hooks on to the foot. I can use it as a guide. I was quite proud that I figured it all out without consulting the manual. 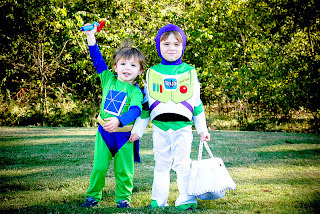 My boys in their store-bought and borrowed costumes. 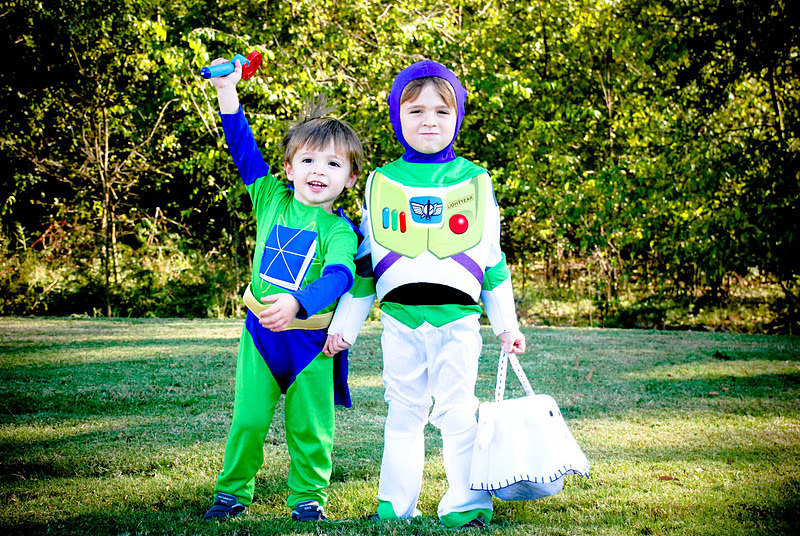 Buzz Lightyear and Super Why ("With the Power to Read!" Will gleefully shouts when you ask about his costume). I have one of those things too and haven't used it yet but need to.